Successful Tamil thriller Dhuruvangal16 is one of the most talked about movies in the recent times. This film, mostly starring newcomers apart from senior hero Rahaman, went on to celebrate 50 days with thumping collections. 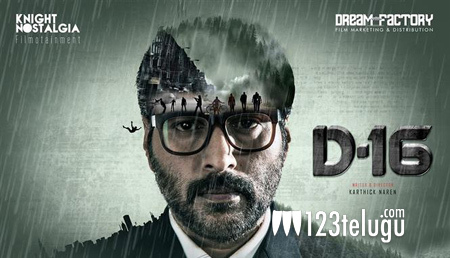 Bichagadu’s Telugu producer Chadalavada Srinivasa Rao is releasing Dhuruvangal16 in Telugu as 16. This movie is going to hit the screens on March 9th. 16 is a murder mystery with a nail-biting narrative. The staggering fact about the movie is that it was directed by a 22-year-old youngster name Karthick Naren.